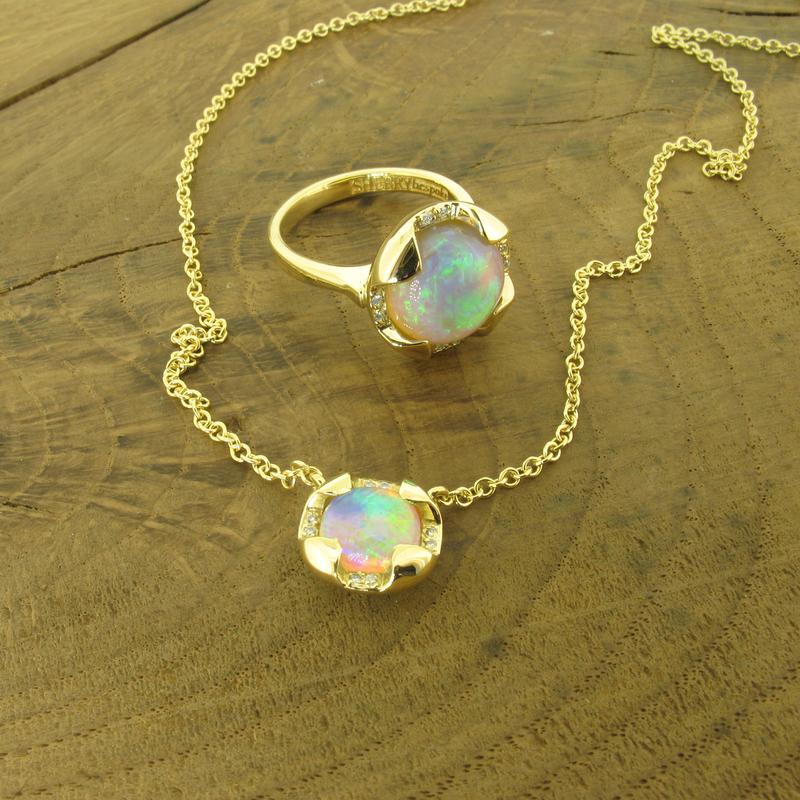 This opal and diamond suite consists of an 18ct yellow gold ring, with a matching opal and diamond pendant. The opals were the best and most colourful, Australian opals that we have ever encountered. So now you know the difference between the low grade material that they sell on the shopping channels and the REAL top-grade opals, as shown here! We were asked to design a suite of jewellery, which was very sympathetic to the natural, rounded shape of each stone. She wanted the opals to look as if they were still within the boulder: Nestling and encased. Their extraordinary play of colour barely needed any further embellishment, but we decided on tiny, brilliant cut diamond accents, for good measure!The rounded, 3 dimensional quality of the finished pieces really isn’t shown well in the picture, but they were smooth and ‘smartie’ like in their feel. I really badly wanted to keep this opal and diamond suite in 18ct yellow gold, for myself!